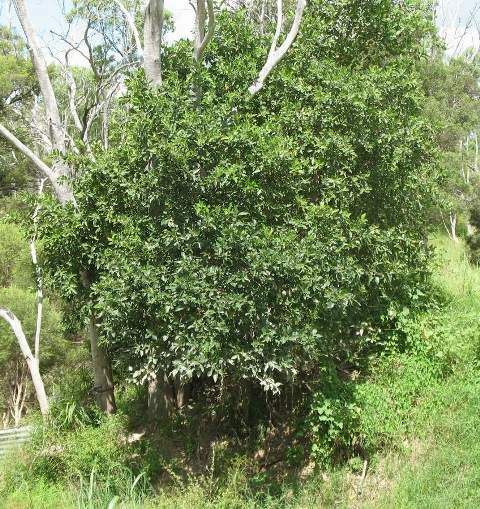 A small tree 6-12 m tall and 3-5 m wide with dark brown trunk. Leaves ovate or elliptical, 5-6 cm long, 2-5 cm wide; these are rough like a sandpaper on upper side, hence the name sandpaper creek fig. Fruit oval, 1.5 cm ling, succulent and covered with dense hairs. 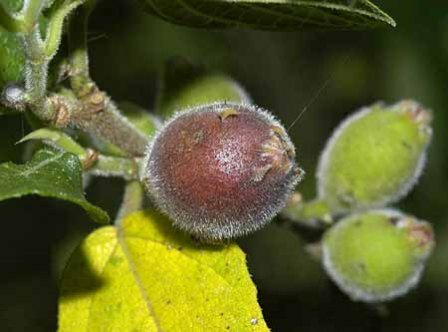 The fruit are edible raw when fully ripe and is eaten by local people. The furry skin can, however, be irritant but can be be peeled off first. 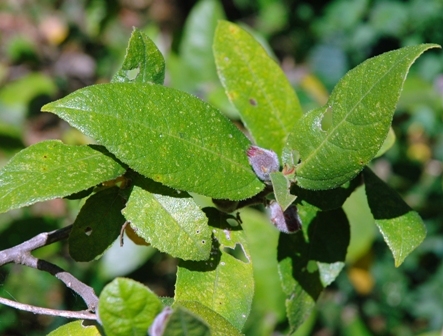 In earlier days the local people used the leaves of this fruit were used for polishing wood and turtle shells. The creek sandpaper fig makes very good bonsais.